My two new kittens! I picked them up on August 16th from this really nice breeder called Starstrutter located outside Olympia Washington. They where born May 12th, 2007 and as of this writing, just over three months old. They are brothers from the same litter and of the same breed as Hershey & Cocoa. 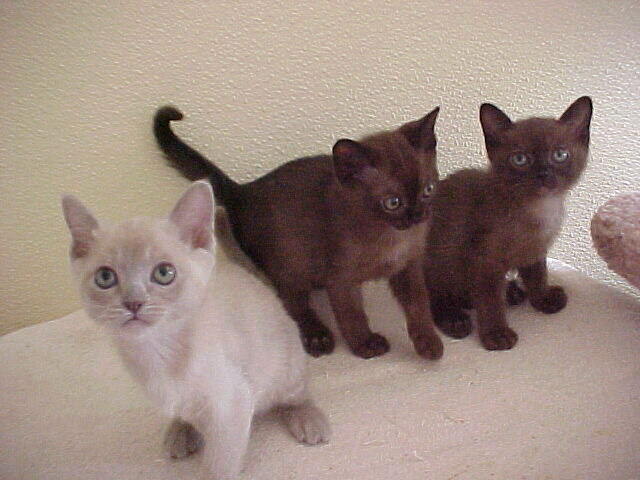 Both of them are Burmese and sable colored. And here starts the journey of my two new companions. Apollo and Ares have arrived. The names are two of my favorites throughout history. They may not be gods but they are princes and like their predecessors they have all ready made a special place in my heart. Apollo is a bit bigger than his brother and has a mind of his own. He tends to do his own thing and enjoys constantly being at play. Ares on the other hand, loves to be around you. He follows you around the house and loves to snoop. In a way they have some of the qualities of their namesakes if only a bit removed. I went out and got them a bunch of stuff to make their new lives fun. They inherited Hershey & Cocoa’s toys of which I am adding too with new items. They have their own “kitty tree house” which I never got for Hershey & Cocoa because they had been declawed by their previous owner and I felt bad for them to have to try and climb something like that. And they have a filtered water system that I never realized you could get so I had to snag them one. I got them some brand new beds which they aren’t using yet and I am debating on getting them a second “kitty tree house” for in my office. I hope you enjoy the pictures. I’m sure to be adding many more over the years. This first few shots where my trip home from the breeders with Apollo & Ares. 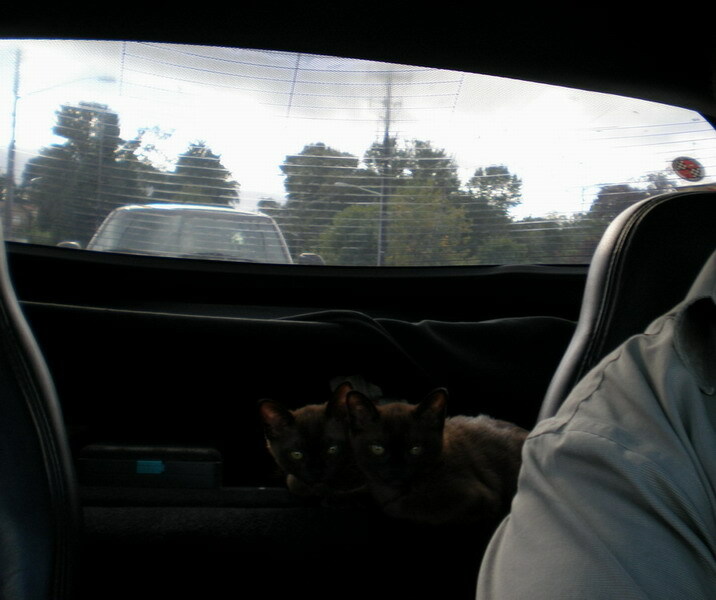 You would have never believed that these two kittens had never been in a car. Besides a bit of checking things out, the three or four hour drive home found them pretty much relaxing and enjoying the view. Apollo hung out the first part stretched out inside the carrier which he thought was just perfect for napping. Ares, on the other hand, decided that my lap was a great location. Eventually they both settled on the arm rest in the middle and stayed there for the last couple hours of the drive. By the way, having a camera in your car that is tiny and compact which you can hold and shoot with one hand is an important car necessity. I took far to many pictures of them when they got home. I’ve calmed down some, I think I only have a couple dozen on their second day. Trust me, you are seeing the most interesting of the fifty or so pictures I took as they discovered their new home. Over time this will probably get merged into one section but for now it’s fitting. Another picture from the past few days of their first few moments in a new home.